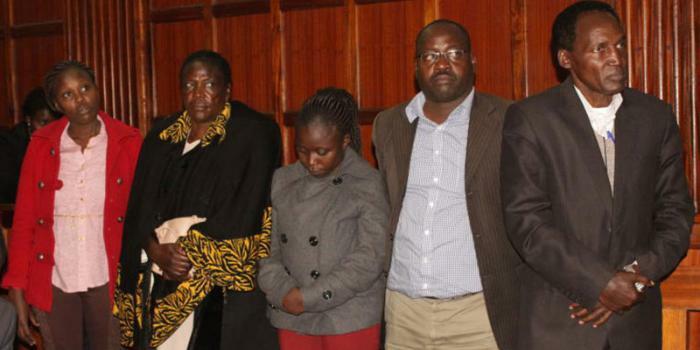 Wednesday December 12, 2018-Caroline Chepchumba, daughter to Victoria Rotich, a 62-year-old widow, who had allegedly supplied 212, 000 bags to National Cereals and Produce Board (NCPB), is admitted in hospital after attempting to ingest poison. Sources reveal, Chepchumba suffered a mental breakdown after her name featured among those wanted by the police for looting the NCPB in which influential traders allegedly received more than Kshs5 Billion at the expense of genuine farmers. Speaking yesterday, her mother, Victoria Rotich, lamented that her daughter wanted to ease the pain and humiliation she was going through after her name was put on the public limelight by Agriculture Cabinet Secretary Mwangi Kiunjuri. "She wanted to take poison on what she termed as frustrations related to the maize issue. My daughter is currently hospitalized because she was branded as a cartel yet the only thing she did was to supply maize to NCPB," she stated. “We did not kill anyone, our actions were only to supply maize to the depots, and we did not import the grains from Mexico," she added.